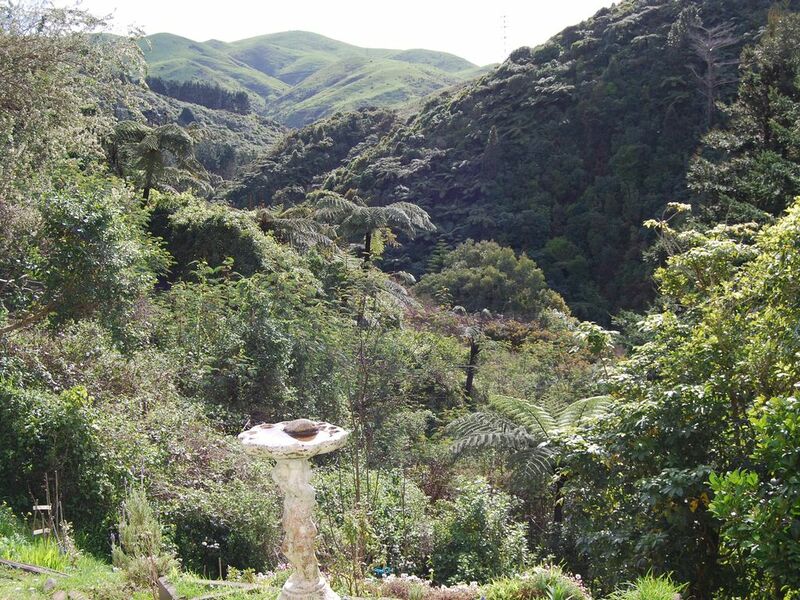 We have a self contained flat underneath our house with separate entry and spectacular bush views over Kelson Reserve. The setting is very private and includes a deck, garden to enjoy and birds galore. Access to the flat is by a path leading down through the garden. There is off-street parking available. The apartment includes a bedroom with double bed, a kitchenette with small oven and hobs, fridge, living area with table and couch, and bathroom. There is chrome cast tv available but no microwave. We provide tea, coffee and milk. There are several bush walks in the area and a regional park at the end of the road. Central Lower Hutt city is 10 minutes away and it takes 20-30 minutes to drive to Wellington city depending on the time of day.There is a intermittent bus service so it is only suitable to people with cars. Kitchen includes cutlery, pots, plates, bowls. There is a sink, jug, hobs and small oven, There also a large electric wok and an outside BBQ. On arrival, the under-house unit is easy to find and well equipped. There is limited cell phone coverage, PERFECT for a bit of peace and quiet. Don't worry though, there is a Chrome Cast and Wifi, so you can still contact the outside world and use your device for Netflix type entertainment. However, my aim was to have some time out and read so a perfect place. Hosts are very communicative and instructions were very clear. A great property in a great location. Small but enough room for the two of us. The view is great. We enjoyed our time at the property. Colin and his partner were very welcoming and even went to the trouble of making the access easier for us (I had a knee operation a few weeks earlier). They were very friendly. The property is lovely and had everything we needed. Great spot for a couple who want peace and quiet. We would definitely stay there again should the need arise.